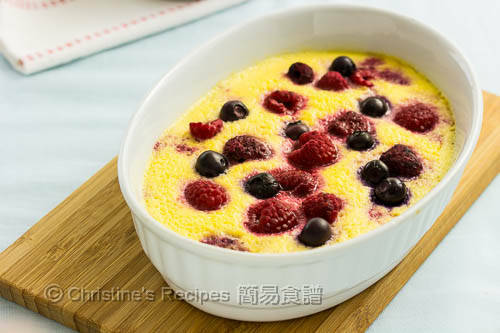 Can I change the berries to banana? You may experiment with banana. The taste will work. Beware that the texture might be interesting. Can I use canned coconut milk instead of milk? I tried this lovely custard tonight. Is the inside suppose to be watery? It shouldn't be like that. Sorry to hear about your not-so-good experience. 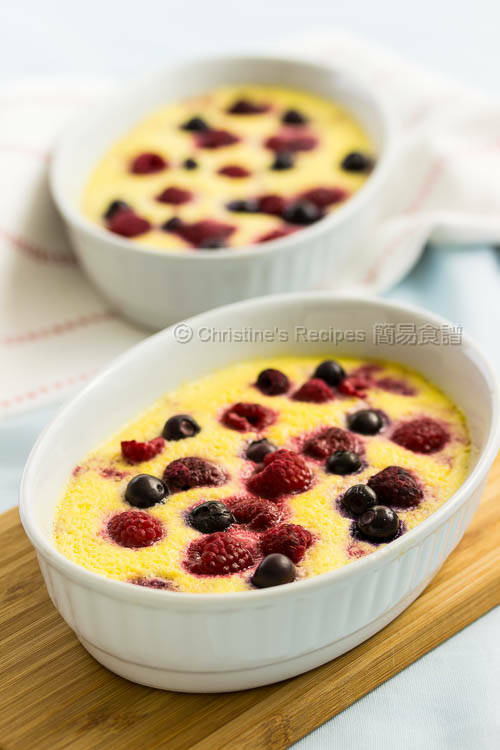 Did you use frozen berries? How many did you scatter into the egg mixture? I should have said that fresh ones are the best. 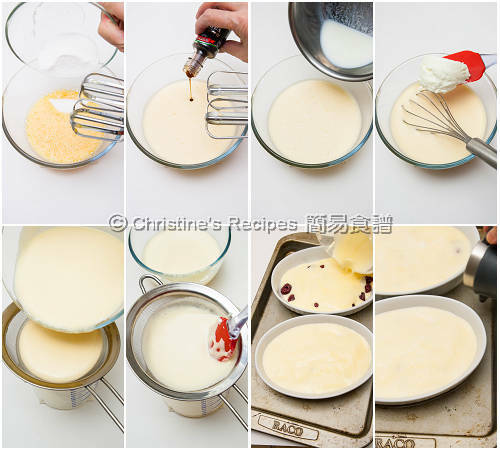 But if the water inside the berries released, that will make the custard watery. I did use frozen berries. Hard to find fresh ones this time of year, especially in Perth. What do you suggest I can do to help reduce the liquid when using frozen fruits? Thanks. Yes, I did use frozen berries. Fresh ones are not available now in Perth. 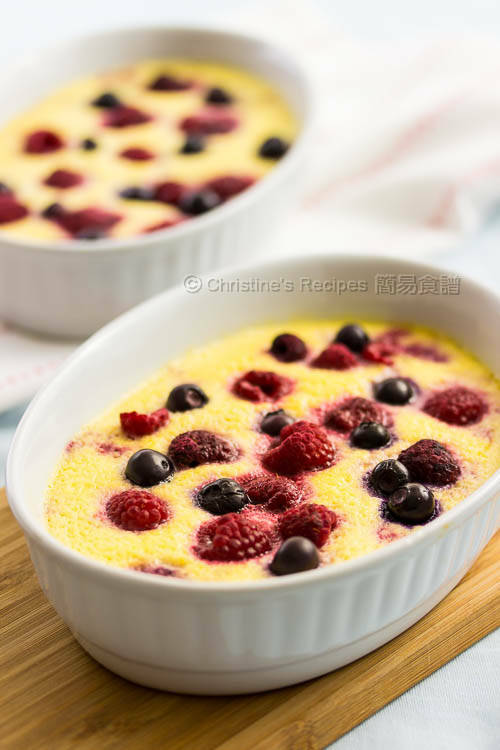 Do you have suggestion on how I can reduce the liquid when using frozen fruits? I suggest you don't scatter too many frozen berries at the bottom of your baking dish next time.